Parents who choose a private school for their child have a ‘right’ to expect governments to help with the costs because they are taxpayers; so the argument goes in Australia. Certainly chief executive of Independent Schools Victoria, Michelle Green, makes such an argument. But where does this so-called ‘right’ come from? Neither Michelle Green nor anyone else making a similar claim has an adequate answer. We pay our taxes so that our governments can provide public services such as public hospitals, public transport, the armed forces, the ABC and so on. These are services that private industry cannot or should not provide. Just because someone chooses not to use public transport does not entitle them to claim a public subsidy for their car costs! Emergency medical treatment at casualty is free at public hospitals but costs $500 at a private hospital. We pay our taxes for public security provided by the police. If we want additional private security for any reason we pay that ourselves and don’t expect a subsidy from our neighbours. There is a choice. But choice is only available for those who have the wherewithal to make that choice. We have heard about the end of the age of entitlement. However, when a person on the basic wage of $35,000 a year pays his or her taxes, that person should not expect their taxes to help someone who is on a salary of $150,000 or more per annum to exercise school choice. Any notion of choice in this case is bogus. The reason for the strong enrolments in private schools in the growth corridor suburbs in major cities in Australia, mentioned by Green as evidence of people exercising their ‘choice’, is due in part to the lack of public infrastructure and planning. At the same time, government funding for capital expenditure by private school systems and independent schools has become incredibly generous, another reason new schools are proliferating. Governments inspired by ‘providing choice’ will always find it easier and more ideologically satisfying to get private systems to build those extra new schools, than to go to the trouble of providing the schools themselves. Green mentions so-called “low-fee” private schools. However these can be up to 85% publicly funded. As to her claim about the wonderful multicultural make up of private schools, she does not give us details. Some children who were born overseas, or whose parents speak languages other than English at home, come from very socially or educationally advantaged families. There are clear divisions of such advantage across different ethnic backgrounds. I point out the Gonski Review found that 80% of all disadvantaged children are in the public system. More than 40% of Australian secondary children now attend private schools, either so-called independent or faith-based systemic schools. Australia has one of the most privatised school systems in the OECD since Chile withdrew all public funding to private schools in 2014. Prior to the late 1960’s private schools in Australia received little government funding. When such funding was introduced, it was to help bridge gaps for very poor Catholic schools, the sentiment was egalitarian not entitlement. What has grown since then is unique in the world, and not in a good way. While most OECD countries have private schools, very few of them receive public funding as it occurs here. Take England for example, the home of the elite private school, and the exclusive private schools in the USA: not one cent of taxpayer’s money goes into their budgets. The purpose of an excellent, appropriately funded public education system is to help ameliorate the inevitable inequalities that result from the lottery of birth. No better mechanism for creating a well-educated general population has so far been discovered. The importance of choice for parents has been promoted at the expense of equity for students. The choice model promoted by federal and state governments has contributed to the decline in enrolments in public schools nationally. It is hard not to conclude that what we are seeing is a deliberate strategy to dismantle public education, partly for ideological and partly for financial reasons. If these developments continue then the inevitable outcomes will be greater inequity and continuing decline in educational performance that will provide the proponents of change with further “evidence” to support their position and for even more far-reaching change. Funding for private schools in Victoria, for example, increased by 18.5% per student, or eight times that of public schools between 2009-2014. The Australian average increase for private schools was $1,181 per student compared to only $247 for public schools. However the savings to governments for shifting the responsibility of schooling to private institutions and systems is illusionary. The most comprehensive review of school funding since Gonski by Lindsay Connors and Jim McMorrow argued that state and federal governments would have saved $2 billion annually over the past four decades had they educated private school students in the public school system. Increased public investment in non-government schools between 1973 and 2012 has increased the overall costs to governments rather than producing overall savings. Recent trends in school recurrent funding analysed by Bernie Shepherd and Chris Bonnor strongly suggest that over forty per cent of students in Catholic schools in 2016 will average as much, if not more, public funding than students in similar government schools. By 2018 an additional forty per cent will most likely join them. Half the students in Independent schools are on track to get as much, if not more, than government school students by the end of the decade. This finding emerges as one of the most significant to date from analysis of My School data. School funding in recent years has done little for student achievement and nothing for equity, including the $3 billion over-investment in better-off students, without any measurable gain in their achievement. On current trajectories State and Federal governments, within four years, will be funding the vast majority of private school students at levels higher than students in similar government schools. Concerns about funding equity should now be joined by concerns about effectiveness and efficiency in how we provide and fund schools. Each private school pupil now receives, on average, a non-means-tested public subsidy of over $8000 per year and yes I believe this is indeed at the of expense of the less privileged public school student. The focus of our investment in education should urgently be in public education systems not in providing ‘choice’ for some families. And so much for all the talk about the end of the age of entitlement. David Zyngier works in the Faculty of Education at Monash University as a Senior Lecturer in the areas of Curriculum and Pedagogy. He was previously a teacher and school principal. His research focuses on teacher pedagogies that engage all students but in particular how can these improve outcomes for students from communities of disadvantage focusing on issues of social justice and social inclusion. 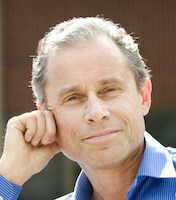 He works within a critical and post-structural orientation to pedagogy that is distinguishable by its commitment to social justice (with interests in who benefits and who does not by particular social arrangements) and its dialectic critical method investigating how school education can improve student outcomes for all but in particular for at risk students. Hear, hear David Zyngier, well researched and argued. I just wish ‘the powers that be’ would take action! The end result of continuing with the federal government’s current model used to fund ‘this entitled choice approach’ to education will inevitably be the closure of public schools. In some areas of Sydney I believe this is already happening. This means families must go outside their surburban community to access public schools. The tipping point is very near driven by ideological and political decisionmaking. Absolutely correct! Independent schools produce no gains in educational achievement, in later post secondary education or in wages and employment. The arguments for saving tax payer money, or parents paying twice are economic nonsense! These are conclusions from significant peer-reviewed research in many countries, from Nobel laureate James Heckman to the latest from University of Queensland researchers, as well as conclusions of OECD in PISA. Claims for benefits of independent schools are about as valid as claims for a flat earth or extra-terrestrials living amongst us. As Heckman calculated that there are great economic gains to be had by investing in early childhood development. 	His research has given policymakers important new insights into such areas as education, job-training programs, minimum-wage legislation, anti-discrimination law, social supports and civil rights. (http://heckmanequation.org/about-professor-heckman) – the rate of return on investment in early childhood education for example Heckman suggests is 7-10%. Historically speaking, the whole reason why Government funding of private schools exist is because the Government system could not cope with the influx and needs of students. The private system seeks to achieve the same goals as the public system, but provides an opportunity for smaller class sizes, personalised attention and in a lot of cases a safer environment, because the government system cannot handle the demand. Another thing to keep in mind – what would happen in the areas where government subsidized private schools are the only option? Several remote communities in QLD, WA and the NT rely purely on Catholic and Christian schools to provide education. Similarly, what about private vocational colleges such as the one in Kempsey and the proposed one for Hobart which provide students with opportunities for education that don’t exist within the public sector? Would the government be happy to fund these as well, or would the students be left without a school to go to? Ben your history is not based on evidence. Until 1972 there was no public funding of private schools in Australia. NOT ONE! Yet they seemed to be doing OK.
You suggest that “The private system seeks to achieve the same goals as the public system” but that is patently untrue. Private schools exist to privilege and maintain the privilege of elites -to ensure that parents can ensure that their children will be sitting next to other kids form the same social class. The false choice ideology has actually shifted the responsibility of providing a quality public education to the private sector – just as we have done for transport, power generation, telecommunications, health and even security. Soon postage service. The advocates of privatisation argue that the result will be greater efficiency at a reduced cost. Of course we know that never happened. The only reason private schools can offer their so-called advantages like smaller class sizes (and BTW Pyne and his ilk like Donnelly argue that class size has no impact on education), personalised attention etc is because private schools do not have to enrol ALL children -they are selective – and difficult to teach students – migrant kids, indigenous kids are going to public schools that teach over 80% of disadvantaged learners. The reason why only what you call govt. subsidised schools are the only option is because govts. have not planned to build the infrastructure required – while giving these so called private schools massive capital grants – have a look at the MySchool website data available for these Christian schools. Your claim that private schools seek to advantage the elite is completely false. That simply doesn’t stack up when you examine the sheer fact that schools such as Macleay Vocational College, St. John’s Catholic College and many other schools exist for the purpose of educating students who do not have access to education otherwise. In fact, even schools such as Marrara Christian College cite the differing social classes in the same classroom as a unique selling proposition as opposed to an area of weakness. Also, the reason why Pyne and Donnelly see smaller class sizes as a non-issue is because that is something John Hattie and ACER have discovered during their research. I am waiting for the Catholic Education Commission and Michelle Green to respond. According to analysis by Finance journalist Ross Gittins http://www.smh.com.au/comment/catholic-schools-dubious-funding-pleas-fall-on-willing-ears-at-election-time-20150323-1m66ar.html the Church’s schools receive 75% of recurrent funding from the public taxpayer, 22% from parents as fees and wait for it …. 3% from the Church. Now that is a great business model to be running today. Is that 3% of the school’s funding? Given that donations to charities on the whole is in decline, we can’t expect the church to fund several million dollars a year per school in addition to their other activites. Ben “why not” expect the church to fund its own schools. The National Catholic Education Commission confirms that Ross Gittins’ figures are correct. I would love to own a private business where I had the customers contribute 22% of my costs and the public through the government pick up 75% of my business costs. I think that’s a fundamental issue – schools are not a business, they are a public service. Take into consideration the number of students in private education and the historical inability of government schools to handle the influx adequately, I think the “why not” answers itself. Ben once again you seem to be unaware of the history of public education. Public education has never had an influx of students – the exact opposite – once private schools started to receive the largess of funding under Howard – today it’s more than $8000 per student Australia wide on average – we witnessed the outflux of middle class students from public schools. As I wrote above this subsidy is from the pockets of those unable to make such a choice. Private schools like private health and private medicine, private transport, toll roads etc do not provide a public service but a private “lifestyle” choice. Ben could I be so bold as to ask what are your educational credentials? Thanks for the response, David. In 1962, following a shutdown of all funding from the government, Catholic schools in the Canberra-Goulburn area shut down completely. The government schools were inundated with enrolments and were unable to cope. Additional union action was taken by the unions in public schools in the area at the time because of the increase in student numbers which resulted in the government reinstating funding for private schools on this basis. Assuming we’re not using “lifestyle choice” in the same way in which Abbott refers to Indigenous Communities, then I would say it isn’t a lifestyle choice, but a chosen necessity. In the case of private health, I have private health to cover my hospital expenses in the event I require them. As I found out the hard way, you can be faced with immediate bills in the thousands of dollars otherwise because the government system (Medicare) is inadequate. Same case for private education. When I was completing my GDipEd I worked as a voluntary tutor through the local library. I was assigned a girl who had attended the local primary school and the local high school and was in Grade 8. She had a reading level of a Grade 3 student. Put simply, after her family sought assistance from medical professionals there were no impairments found, and she had quite simply “slipped through the cracks”. In this case, the government school had done her a misservice. If that was their only option, would you continue to enrol your child in a school where they were just another face in the crowd, or would you make a decision to change schools? What if you were unable to change public schools because of area restrictions? I hope the statement of statistics like this article will overcome scare campaigns by Liberal (and increasingly Labor) governments. I also appreciate the focus upon state and federal funding and not parents that I suspect are following the funds. How to influence state and federal decision making? Daniel thanks for your comment. How to influence policy? Keep telling the truth about school funding to as many people as possible – use my article as a resource to write to your local members and don’t forget to talk to parents in schools especially to the car park mafia about how good public education is! The only teachers who went on strike were those in the Catholic schools! It’s interesting you say it was an urban myth, when Dr. Maurice Ryan and Graeme Rossiter have written books on the Goulburn closure tell of a very different story. The key phrase in your response is: “all things being equal”. Unfortunately, not all things are equal. Students do fall through the cracks, schools don’t always exist in remote areas, special needs are not always catered for. I’m not saying that private schools provide better educational outcomes for students (I grew up attending the largest public school in NSW for its time and performed remarkably well), but there is a need to provide alternatives when the government system isn’t meeting the needs of all members in the community. Ben I refer you to an article by Greg Robinson president of the Wagga Teachers’ Associationhttps://www.greenleft.org.au/node/39728 in relation to Catholic education funding. Of course students fall through the cracks in public schools as they do in private schools. But not system wide – given the fact that 80% of all disadvantaged children attend public schools the percent “slipping through’ will of course be greater if these same schools are under resources and underfunded to the overly generous funding that private schools receive from the public. If you don’t believe me as clearly you don’t then why not read the 2 reports I cite above by Connors & McMorrow and Shepherd & Bonnor. After you have read them both then let’s have a discussion. It would be much appreciated if you could put forward your arguments on the DOGS ( Defence of Government Schools) program on 3CR. We have been putting forward these arguments since 1964. Again, I’m not claiming I have the “adequate answer”, merely claiming that there’s more people claiming they do either haven’tnot sure you’ve searched hard enough. Accidently hit the send button while still editing the last sentence. But you get the idea..
AS to claims by the Catholic Church about educating the poor well that is also history. 80% of all disadvantaged children attend public schools.